Robert Schumann was diagnosed with “psychotic melancholia” in 1854, two years before he died in an asylum either of syphilis, mercury poisoning, or some kind of cyst—it’s apparently still unclear. Psychotic melancholia sounds horrifying, like a German band that plays an obscure subgenre of death metal. Needless to say, I was stoked. The Walt Disney Concert Hall is a fantastic monument, a perfect tribute to its wealthy namesake and the progressive politics he’s known to have espoused. Fun fact: All of the exits on the second and third floors lock upon closing, so if you want to go outside for a cigarette or a pull from your weed pen, be vigilant or you will have to re-enter the hall in the most embarrassing way possible, i.e. lingering around various service entrances until a concert hall employee sees that you’re just locked out and not a threat. 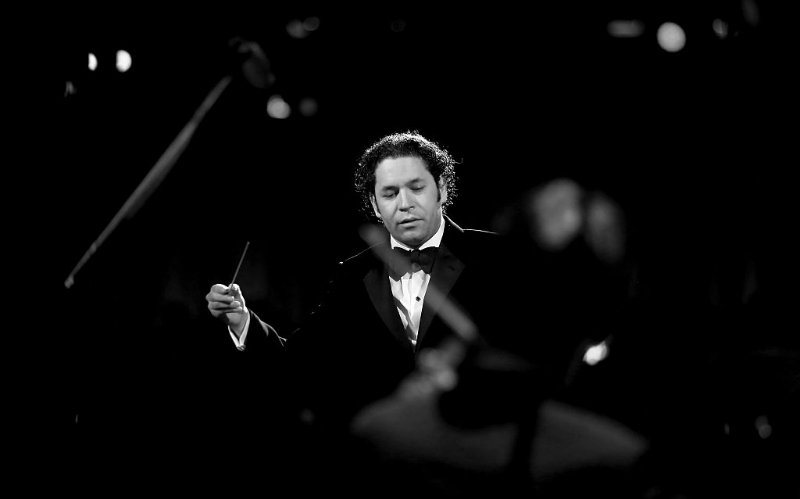 I tried immersing myself in the music, letting the beautiful soundscape pianist Mitsuko Uchida and conductor Gustavo Dudamel were building completely wash over me, and I think I came close. All the musicians on stage are, without a doubt, masters of their respective crafts. I looked around at everyone else in the audience and expected to see people with their eyes closed in some kind of trance or nodding appreciatively. That’s how I imagine the overeducated enjoy entertainment, by physically agreeing with everything they’re seeing and hearing. So I sat there and I experienced and felt…not much. The next day, lover and companion and I took in a hike somewhere in Topanga State Park, and during our drive out there, Sublime’s “Santeria” came on the radio. Being a 27-year-old male with a slight “getting high and liking to party” problem, I started yell-singing the tune, as is protocol. That’s when she snapped. I guess you could say, in a way, the symphony destroyed a burgeoning, beautiful relationship. A shame, really, but this is how we learn. My final thoughts on the symphony? Have you ever blacked out in a bar just before closing time and for some reason you’re still there after closing even though you legally shouldn’t be and then “Santeria” starts playing and everyone else sings along because the night will likely end badly but, hey, at least you all have just this moment and that’s all you need to feel like it was worth something? That’s the communal experience I think classical music should strive for.